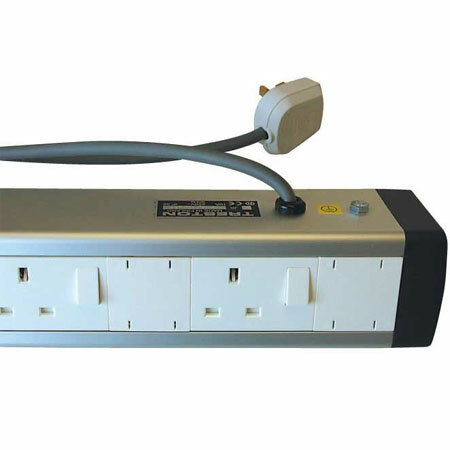 With 4 switched single sockets. 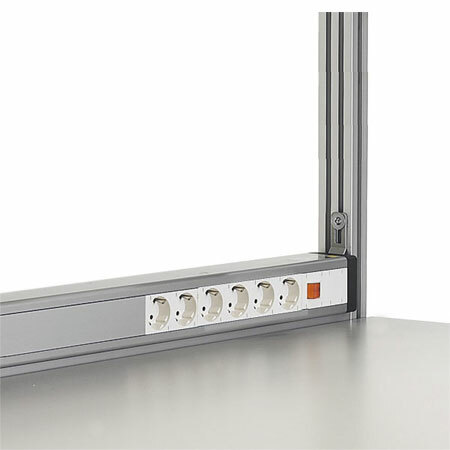 Compact aliminium profil. Wired, tested and ready to use.